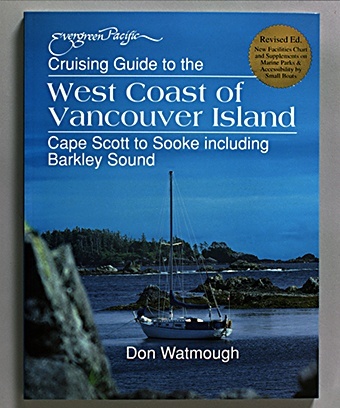 A must for navigating the West Coast of Vancouver Island, this guide explores the magnificent cruising grounds from Cape Scott to Sooke (including Barkley Sound) in easy day passages. Information is given on uncharted rocks & reefs, dangerous currents, favorite anchorages, popular gunkholes, local history & folklore, geology, and flora & fauna. Remote scenic areas of one of British Columbia’s last wilderness cruising territories come vividly to life in the superb aerial photography of George McNutt and in a number of photos by author Don Watmough. In the 1998 revision there are supplements on Marine Parks & Accessibility by Small Boat, plus an updated facilities chart.